We are a purpose-driven company, made up of purpose-driven people. 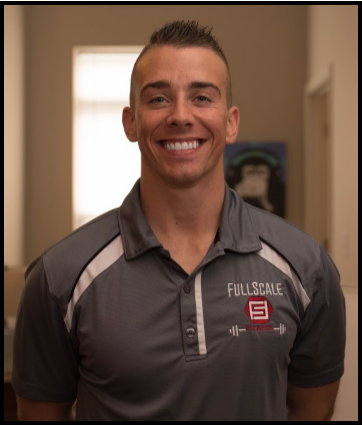 Therefore, our purpose is to provide lasting value to our clients, the fitness industry and to everyone we connect with virtually and/or physically. We are a team that leads by example with the daily execution and implementation of our defining core values. We practice what we preach and this allows us to connect on a more personal level with our clients. With our experience and exposure in the fitness field, we have found some major obstacles that the industry must overcome. What we do differently: Let’s start with the individual trainer. Today, it takes as little as 48 hours to become a certified personal trainer (CPT) and there are no prerequisites to take the certification examination. This means that any individual can become your personal trainer, even without having a true understanding of the human anatomy, physiology and biomechanics. That is why we require our trainers to have at minimum their bachelor's degree in the field of Exercise Science. Let’s face it, a 48-hour education is nothing compared to a 4-year education. This allows us to implement the clinically and scientifically based training methodology to our clientele, providing them with the comfort knowing they’re working with the highest qualified trainers. With the entry of acceptance being so low for becoming a personal trainer, the industry is full of fly-by-night individuals who train because they are fitness hobbyists. The large corporate chains and even smaller local facilities will hire in certified personal trainers with no background knowledge in the field of Exercise Science. As a company, we are putting our foot down and only bringing the highest qualified trainers onto our team. Lastly, the healthcare model today is focused around covering individuals who are already in need of care. This could be better coined as “sick-care”. We believe in changing the model to be preventative health based with an actual focus on healthy living to stop people from becoming “sick”. By providing the highest quality standard of personal training to the Northeast Ohio area, we know we can help prevent chronic disease and illness rates from increasing. This is what we call the “return-on-health” approach, much like a return-on-investment. By investing in your health today, you’ll be saving yourself from long-term healthcare costs. So, make the investment in yourself today and yield great dividends in your long-term health. We have created the Full Scale Fitness Standard because at the end of the day, you must be the change you want to see in the world.